AEGEE-Oviedo is an antenna that is growing constantly. It was nominated as Local of the Month of April because it organised a successful Regional Training Course (RTC) in cooperation with AEGEE-León and the Youth Mobility Working Group, “To Europe and Beyond”. The event was made up of a group of 23 participants plus seven organisers and three trainers. Since the main topic of the activity was mobility, the event was based on three pillars: the concept of mobility, its barriers and benefits and different kind of mobility programmes that you can benefit from (depending if you’re looking for a job, studies, volunteering or just pleasure). Besides that and more in detail, the AEGEE members were also delivered sessions about the Erasmus+ programme, its structure and several projects in which you can participate. Furthermore, they were working on some aspects like communication or active listening. 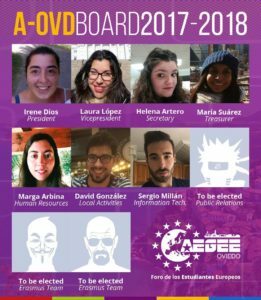 Read this interview with the board of AEGEE-Oviedo and find out about their experience. The AEGEEan: Congratulations for being selected as Local of the Month of April. How did it feel to find out that you were nominated? 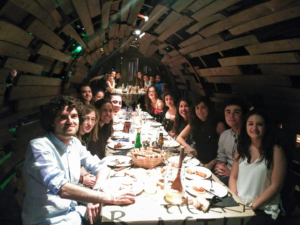 AEGEE-Oviedo Board: Grazie mille! For us it is a great honour, because this proves that our effort and work is acknowledged. We do not do things in order to receive awards, but it is nice to get recognition for the things you do, since it also serves as motivation to keep working and improving. Also, we would like to thank the network for nominating us! 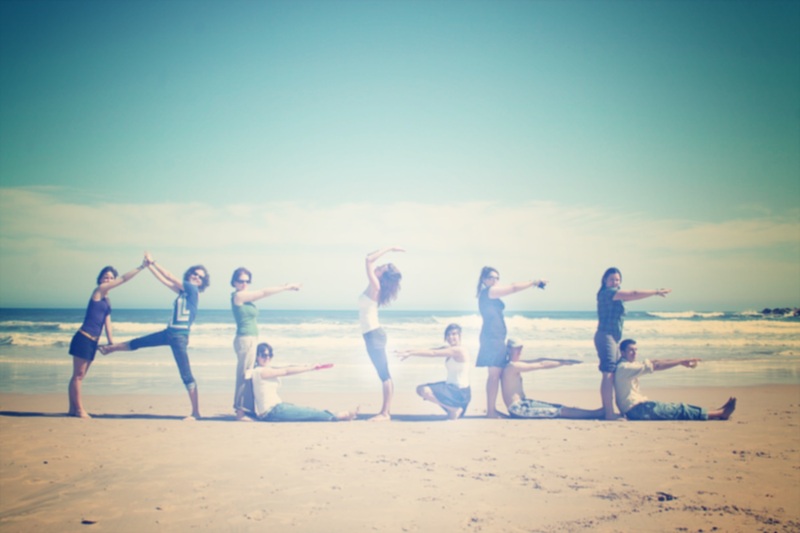 Introduce yourselves and tell us your AEGEE-Oviedo story. How did it start? Can you tell us a bit more about your local? AEGEE-Oviedo was founded by students of the Faculty of Medicine of the University of Oviedo on the 21st of December 1988. As it was told by Alain Fernández at our 25th anniversary in 2013, the very first president of the local, AEGEE-Oviedo was born as a way to protest against a European directive. In the course of 1986-1987, the need for medicine students to pass a public examination before having their compulsory internships in hospitals was implemented in Spain. According to the results of that exam, they could choose a specialisation. To medicine students all over Spain, this seemed like a trap: after six years of hard study, they needed to pass a general exam of everything they had learnt in that time in order to be able to start their internship period. They protested and they went on strike… But since it was a European directive, it was approved anyway. And this is where Alain and his colleagues discovered AEGEE: “If we get a better understanding of Europe, we can be more aware of what is going on”. Thus, they started a local that became one of the largest in Europe with almost 2000 members back in the nineties. Almost thirty years later, the flame is still alive and with enough fuel for at least another thirty years of getting Europe closer to Asturias… And Asturias closer to Europe. How did you come up with idea to organise an RTC with AEGEE-León and the Youth Mobility Working Group and how did you manage to succeed? Can you tell us the secret to organise a perfect RTC? The idea of organising something with AEGEE-León came up almost a year ago during Spring NWM Santander 2016, when some members of AEGEE-León and AEGEE-Oviedo were talking about doing something in collaboration, because the antennae are only 120 kilometres away from each other. So we started thinking about what we could do and we came up with the idea of organising an RTC. During the following course (2016-2017), the members of our antennae started to go to each other’s activities and do some visits, and in January we made the right decision. Both locals started to prepare the RTC with the first and reasonable decision that half of the organisers would be from Oviedo and the other half from León, despite the fact that the event would take place in La Vecilla (León). Afterwards, it was proposed to cooperate with the Youth Mobility Working Group, since both antennae are some of the most experienced in the La Nave area regarding mobility, but it was also a natural decision due to the fact that both antennae have members involved in that Working Group. It was the perfect mix! For us, Oviedo plus León plus Mobility meant RTC. What were the difficult moments in organising the event? Well, actually, we could say that organizing an event between two locals is quite challenging. Firstly: both locals should find a common aim. Secondly: you need a team able to work and build something together without knowing each other from before. It may seem simple in theory, but the reality is not that easy! Especially when your team has to work in the distance. Maybe that was one of the most difficult parts since there are some specific tasks, like the logistic part, in which one local carries the weight of everything until the event starts. This has nothing to do with bad experiences during our event, but sometimes trying to find the right balance between both locals is not that easy. Fortunately, both locals had the same interests and some of us were already friends before taking the decision of starting that project together so we didn’t have that kind of obstacles while organizing. That’s why if we had to choose or define the real and biggest problem, we would say the huge amount of events that were also happening in the same month and even quite near us. It’s not only about the amount of activities, but also the profile of participants you’re looking for or may be interested on the topic. At the end having so many different kind of events around means people have to choose and we got less participants that we expected, being also much more difficult for us to convince them to come. Was the RTC productive somehow? Sure! We achieved our common goals, we were able to overcome difficulties as a team, new bonds were created and, at the same time, the old ones were reinforced. AEGEE-León was a great partner and we would like to take this opportunity to thank them all their effort and work that was done. Regarding to the event and the content itself, we tried to do our best and we reveiced great feedback from our participants. That means, finally, everyone learnt from each other while having fun all together. 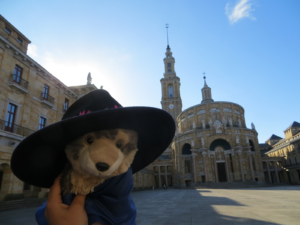 While we are writing these lines, the Summer University of AEGEE-Oviedo, “Guardians of the Paradise vol.9” is going on, making participants discover the wonders of Asturias and why the North of Spain (and this very land) has nothing to do with the clichés about our country. In addition, we are already planning the course of 2017-2018, thinking about the activities we are going to organise for our members, starting with the after-summer BBQ, and for the international students of the University of Oviedo. By the way, did you know that, in 2018, AEGEE-Oviedo will turn 30? Stay tuned. What is the “Impro Night”? The “Impro Night” is an activity for our members and international students of the University of Oviedo that happens in “La Salvaje”, a pub in Oviedo, which provides us with a small stage with a mic and some instruments. In a way, it is like a jam session, but also for speaking: if your passion is singing, showing other people how well you play the piano or the guitar, or how big of a comedian you are, this is for you. You can also participate in groups singing your favourite song, as the aim here is just to have fun! Did you do any other activities during the month of April? During the month of April we also organised a Mini European School about self-development in collaboration with the AEGEE-Academy where our participants got the chance to put their routine on hold and to focus on themselves. 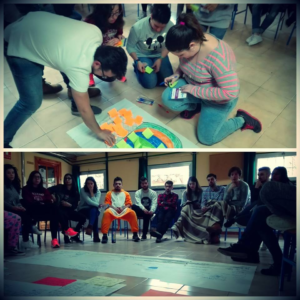 We invited them to reflect on the path that had led them where they were, and how that path had shaped them; and finally, they also discovered how they had realised their own competences and skills, becoming aware of their potential to create an impact. At the same time, more than 60 people of the Network came to the ‘’Primer Sidre’l Añu’’ event taking place in Gijón to eat some cachopo and drink sidra. This activity became popular after Spring AgorAsturias 2015, so we’re thinking about establishing it as a regular event during Easter. 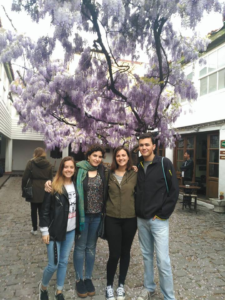 And last but not least, some of our members went to a Training Course in which AEGEE-Oviedo was partner called ‘’Escape cyber – Enter life Training Course Erasmus+’’ in Turkey. The main purpose of this event was raising awareness among the participants about the modern phenomenon of the mental disorder of internet addiction, the supply of specialised knowledge, the development of “know how” and special tracing, acknowledgement, psychological approach and confronting techniques against this phenomenon. The crisis of values that characterises our modern and developed society leads young people to false behaviours, guiding them to social isolation and self-exclusion, to depression, to dangerous behaviours with uncontrolled consequences, mental disorders and many – many more hazardous paths. When was the new board elected? The board of 2017-2018 was elected on the 9th of June and, during one month, we had our knowledge transfer between old and new members, so since the 9th of July the new board is in force, even though some positions are still open and will be elected in September. Can you tell us something about the board members? It is a board of seven members: three of them continued from the previous board and the remaining four are fresh members. The whole team is motivated to do great things during the year. Are there any members who take part in AEGEE projects or Working Groups? We have members in the Health for Youth Interest Group (H4Y, Irene Dios and Sandra González), Gender Equality Working Group (GEWG, Jesús Baizán, Luz Góme z, Marga Arbina, Sandra Pandiella and Silvia García), Public Relations Committee (PRC, Gerardo García), Youth Mobility Working Group (YMWG, Laura López), the AEGEE-Academy (Eugenia Casariego, Gerardo García and Laura López) and the Juridical Commision (JC, Jesús Baizán) while in the recent past we also had members being part of the Network Commission (Olga Rivero, Juan Sordo, Marcos Herrero), Information Technology Committee (ITC, Alberto Cuesta), Summer University Coordination Team (SUCT, Gerardo García) and Chair Team (Alberto Cuesta). Can you describe your local in one sentence? Our local is an energetic and friendly group that likes non-formal education, organising great activities and we always have room for some social time at meetings and events. 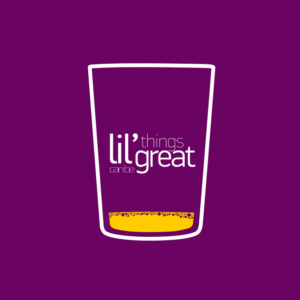 Little things can be great!